This past week I’ve come down with the flu and have been craving nothing but warming foods, hot teas, fresh juice and Breaking Bad. 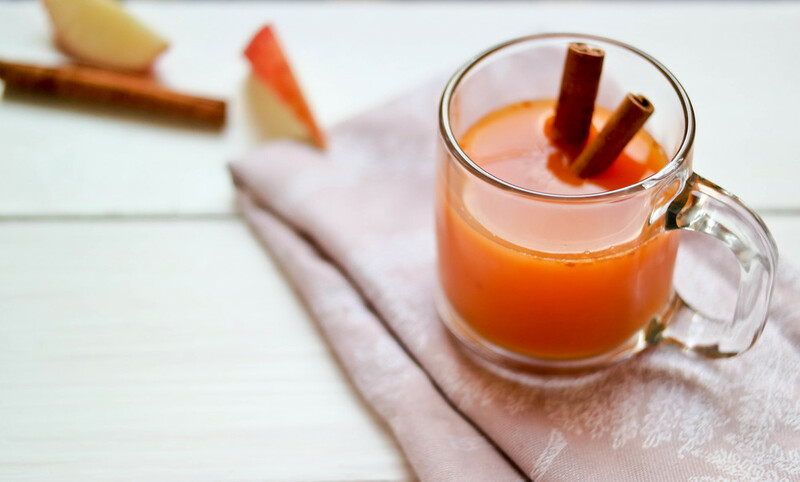 This warm apple cider and persimmon juice is unbelievably delicious and addicting! I’ve always loved warm juice before but I've never ventured to make my own after the holiday season. This juice is very reminiscent of the holidays spent with my family drinking traditional apple cider at Apple Hill, which always conjures up great memories. I love the combination of persimmons as they bring a honey like sweetness to the juice, with a lovely warmth from the cinnamon. The seasonal sweet fruits, warmed with the cinnamon sticks, brings life to the holidays in such a comforting and nourishing way. My body and mind feel so soothed after drinking a cup of this delicious apple cider. I can’t wait to make this for any holiday party and well after the season because it’s just so good! Trust me, you've got to try this! Both persimmons and apples are in season, which is fantastic as they are bursting with sweetness, loaded with nutritional value and are at their best price! Persimmons are a beautiful fall fruit that is perfect for recovering from a cold as they are full of vitamin C! Vitamin C is also present in apples and helps to boost your immune system during the flu. Persimmons are high in fiber and water, which works as a natural remedy for bloated bellies and works as a laxative. The orange skin of the persimmon is a sign of the high levels of antioxidants it houses. Antioxidants are also important when we are feeling under the weather as it boosts our immune system and combats free radicals that damage our cells. Relax and enjoy this warmed juice, as it is the perfect remedy for a cold and rainy afternoon! Simply wash and chop the apples and persimmons, and put into your juicer to be juiced. Then warm the juice in a saucepan on low heat with the cinnamon stick for a few minutes and enjoy!